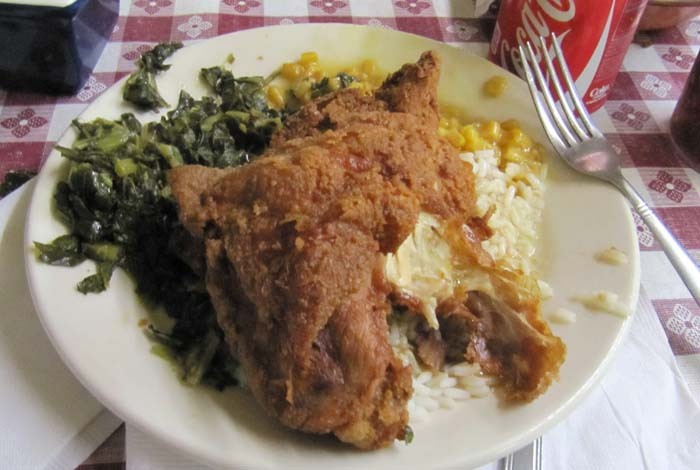 Going to The South meant I would have a chance to experience real southern cooking. 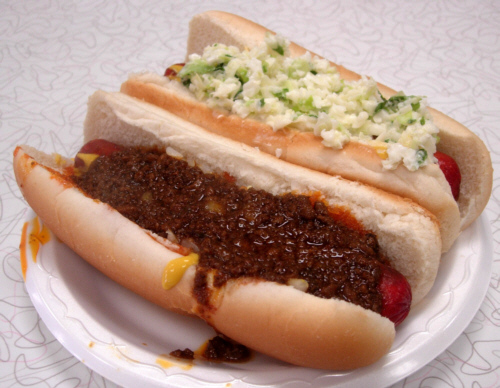 One place that was suggested in the literature that I read was Nu-Way Weiners. I'd read that the hot dogs are red and they are. It's their signature. Actually, it's the casing that is red, all FDA approved, of course. This isn't my picture but one I found on Google. I ate my hotdog ("all-the-way", as on the left) quickly and without a thought of taking out my camera. 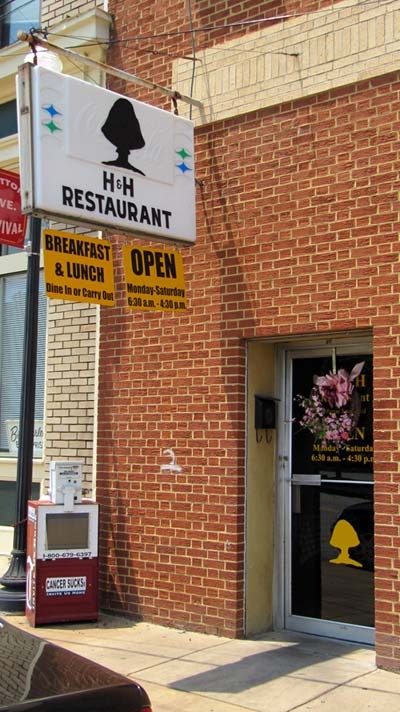 I learned that the place to go for authentic southern cooking in Macon was the H & H Restaurant named for the owners Louise Hudson and Inez Hill. It's been around for decades and back in the early 70s Mama Louise would cook for the Allman Brothers Band when they were just getting their start. You can see the band's mushroom logo on the sign and door. The food: fried chicken, rice and gravy, cream corn were all very good. I tried collard greens for the first time ever - mmmmm good! 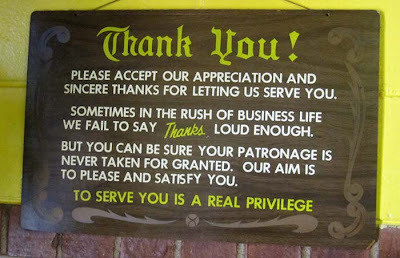 I like the sign on the wall, near the door as you're leaving:, again the Southern charm and good manners that I experienced the entire time I was in Macon. 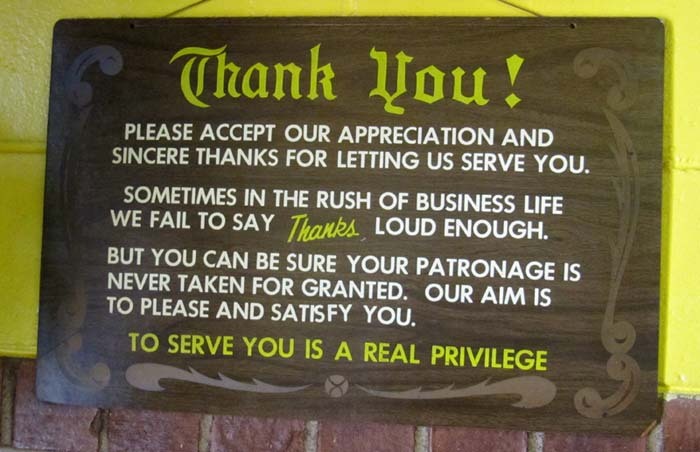 And, in that spirit, I say Thank You for visiting my blog and sharing my trip with me. Next time we'll be visiting a fabulous yarn shop. You knew that I'd have to check out a yarn store! I am sooo glad you liked the greens, a lot of people don't. They are one of my favorite things. 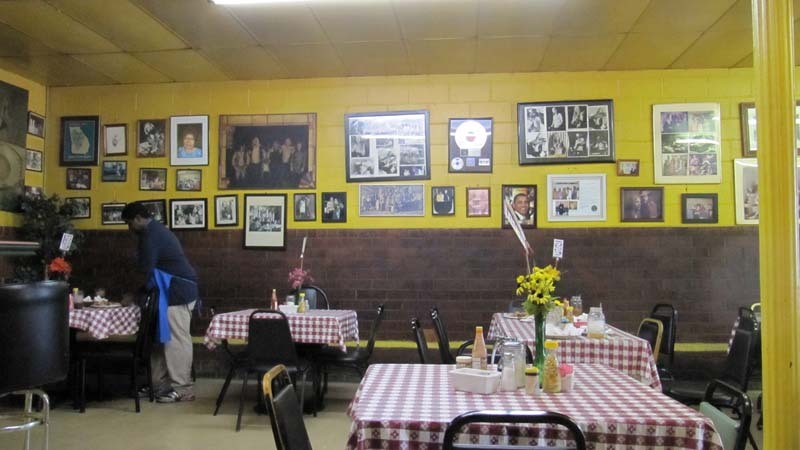 Those "meat and two sides" places are the best places to eat in the south. I was lucky to find an excellent place to eat southern food for the first time. I don't know what was best: the people or the food.